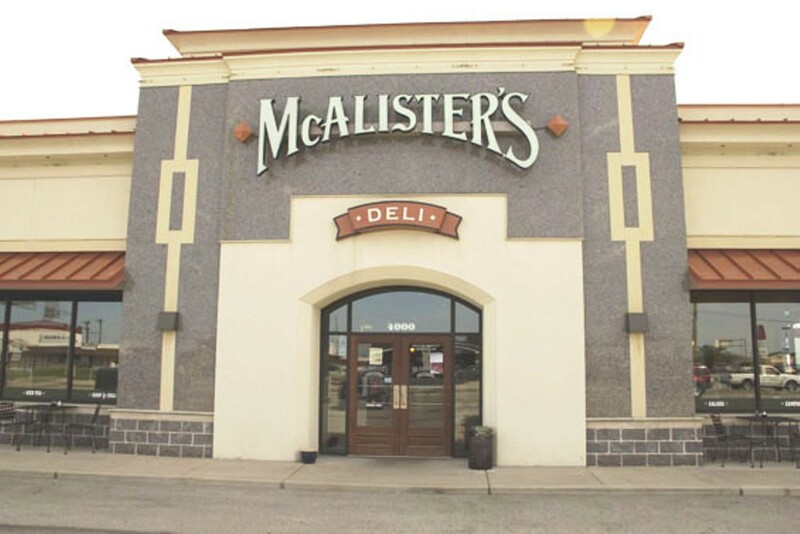 The original McAlisters Deli opened in Oxford, Mississippi, in 1989. 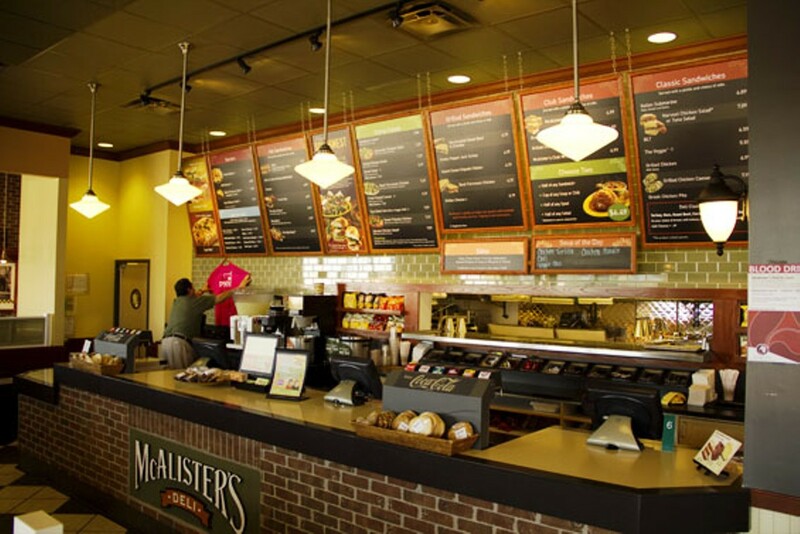 The fast-casual chain now boasts locations in 21 states. Sandwiches are the name of the game here, from simple favorites like smoked turkey, ham and roast beef au jus to such regional classics as the reuben and the muffuletta. An entire section of the menu is dedicated to variations on the baked potato. There are a few dinner entrées, including pot roast and wild Alaskan salmon fillets. The restaurant is justifiably proud of its sweet tea, which you can purchase by the gallon. Fresh flavors put together in a fresh way. Try a bouquet of flavors with grilled chicken, dried cranberries, Gorgonzola, honey roasted almonds, tomatoes and cucumbers, perfectly arranged so that you enjoy every bite. Chef's dressing selection: Sherry Shallot. Select Dressing: Ranch, Caesar, Lite Italian Dressing, Bleu Cheese, Chipotle Ranch Sauce. A ginormous potato filled passed the rim. Max out your potato with ham, turkey, bacon, cheddar-jack, green onions, black olives and sour cream. We almost even threw in the kitchen sink. Satisfy your hunger and soothe your soul. A hearty, meatless, all-bean chili that has all the seasoning you love. This is our take on the classic we all love, especially on those cold days. Turn up your nachos to 10. Chili, RO*TEL®, black olives, tomatoes, jalapeños, green onions, cheddar-jack, guacamole and sour cream all on top of a crunchy bed of tortilla chips. Arriba, arriba, this is a party on a plate. What cabbage wants to be when it grows up. This is the kind of coleslaw that slaw lovers love. Finely cut with a flavorful creamy sauce, we won't be shocked if you want it for your main course.